All our products include EasyOne Connect, which offers one central database and one integrated software platform. EasyOne Connect offers functionality to support connectivity for your EMR system whether you are a single practitioner or a large physician group. Get maximum efficiency in installation, data management and EMR integration by standardizing on one single point of contact software. Improve your workflow with easy transmission of patient information and return results automatically into your EMR. Protect your patient information. Patient data is protected at rest and in transit. With our sophisticated software, we adapt to your needs to provide both standard and custom connectivity solutions. Use EasyOne Connect as review software that can be installed on any PC to access data from all ndd products. Streamline your workflow using our EasyOne Connect software. Minimize errors associated with data entry while saving time to deliver the best care to your patient. Using the Silent Installer, EasyOne Connect can be installed and configured remotely using industry standard software deployment and management systems. Note: To verify the current connection status with a specific ndd product, please contact ndd or the application vendor. Our Connectivity Team would be happy to work directly with you to implement an EMR integration. Both our implementation services as well as our EasyOne Connect software are free of charge. Is one ndd device better than the others for integrating with an EMR? The choice is yours! All ndd devices are equally capable of integrating with your EMR. Which EMRs does ndd connect with? 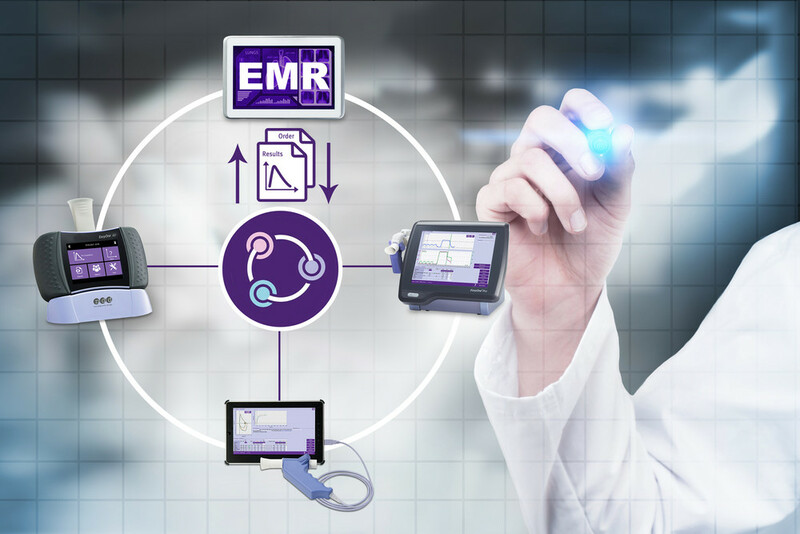 Using our EasyOne Connect software, ndd is able to connect with virtually all EMR systems. Please reference our successful integration list in the details section above for an overview of the systems we have successfully connected to.